AutoNation Inc., the nation’s largest dealership group, said its new-vehicle retail sales jumped 8 percent in February compared to a year earlier, reaching 23,780 new units. The sales climb, which beat the 5.3 percent gain in the overall U.S. market, made last month its best February since 2004, the company said in an email. AutoNation’s premium luxury brands climbed 18 percent, more than double the increase in each of the retailer’s other segments, to 5,110 units. Domestic brand sales grew 7 percent to reach 7,331, and import brand sales increased 5 percent to 11,339, a company statement said. On a same-store basis, new vehicle sales rose 7 percent from February 2014. Truck sales pushed overall industry growth for the month, AutoNation CEO Mike Jackson said in a CNBC interview this morning. Truck sales across the industry were up 12 percent last month, according to the Automotive News data center. Car sales were down 1.2percent. Overall industry light-vehicle sales were 1.26 million, lower than analysts’ predictions of 1.3 million. The annualized sales pace for February was the lowest since April at 16.2 million, below analysts' 16.6 million forecast. For the full year 2014, AutoNation’s total volume jumped 7 percent with 318,008 new vehicles and 214,910 used vehicles sold, the company said last month. 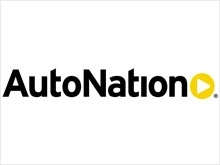 AutoNation acquired a Mercedes-Benz store in Reno, Nev., in January and a Volkswagen dealership in the Atlanta area last month. The company also acquired Mercedes-Benz, Audi, Porsche and Volvo stores in the Seattle and Bellevue, Wash., area in the fourth quarter of 2014. AutoNation ranks No. 1 on the Automotive News list of the top 125 dealership groups in the United States, with retail sales of 292,922 new vehicles in 2013.